The gathering of family, while enjoying great food, with the focus of being THANKFUL is something I definitely look forward to each year! 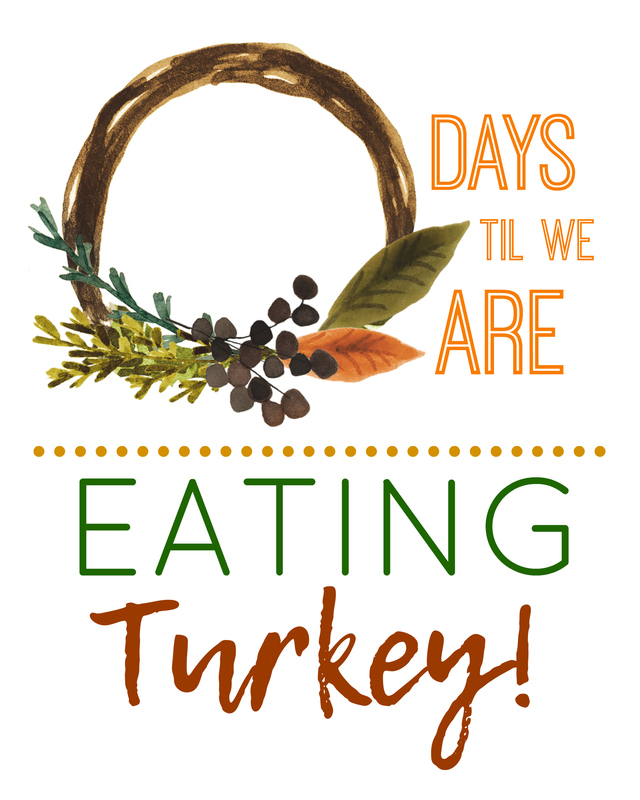 Get your family excited for Turkey Day using our FREE printable Thanksgiving countdown I’ve created just for Hip2Save readers! Here are two other stylish designs you can print and frame, use for greeting cards, paper crafts, or even gift tags! For each printable below, I’ve included the link to each 8×10 PDF AND .jpg file so you can easily print to desired size. 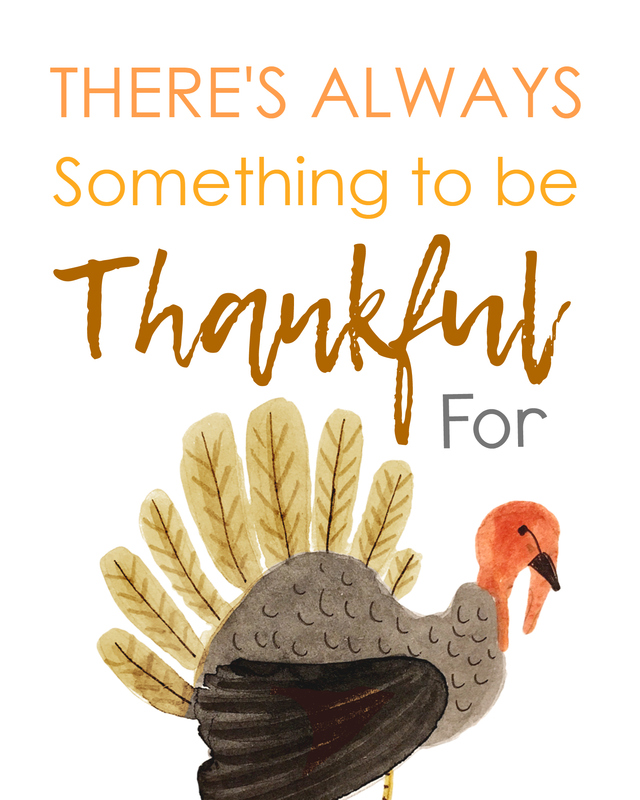 Want more FREE Thanksgiving Printables? 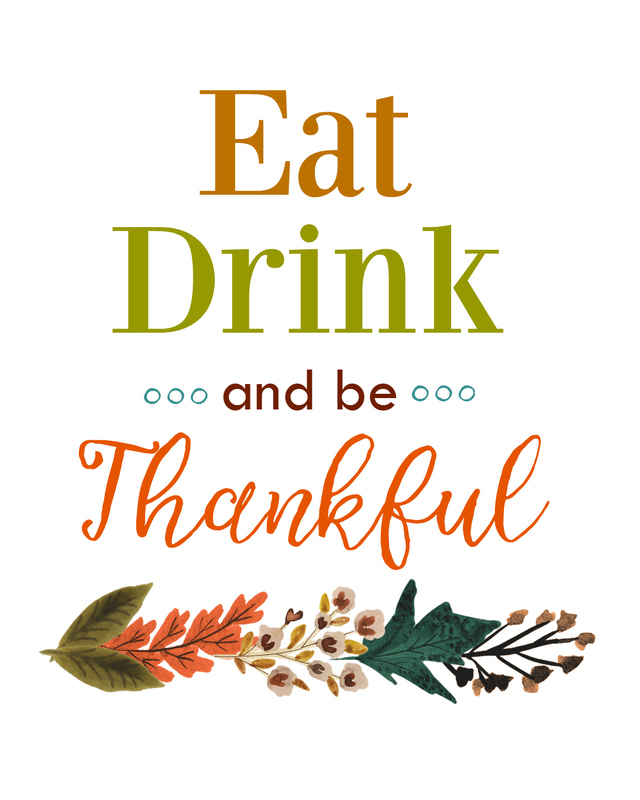 Go HERE to print these 4 FREE and FUN Thanksgiving Printables (Place Cards, Thankful Sign, Wine Labels & More)! Fyi when I sign up for Lina’s newsletter it gives me hip2save’s address in Boise. I don’t think you want to give this out! Thanks we are looking into this! So cute!! Thanks for the easy project! Such a fun project to keep us excited for the holidays!! Thank you SO much for the printables! My family will LOVE these! I wanted to save the eat and drink and be thankful jpg file..but the link takes me to the thanksgiving countdown jpg file. Thanks, Kim! We’re checking on that now! Hi Kim- I just fixed it so you can print the pdf or save the jpg file – Thanks!